Graham Young has been engaged in some of the most exciting developments at the interface between charity and business. He was one of the founders of the Traidcraft Group and a leading strategist in the development of Fair Trade in the UK and the movement globally. He secured the joint working of the main NGOs in international development which led to the establishment of the Fairtrade Foundation which awards the Fairtrade Mark in the UK and chaired its Board for 10 years. Graham is a member of the Board and Finance and Risk sub-committee of the large international NGO 'Practical Action'. He also founded and is the Board Chair of one of the trials for the national Great Place Scheme. He was an early Trustee of SolarAid and a Director of its Kenyan social enterprise SunnyMoney which catalysed the commercial solar market in Africa and was the largest 'last-mile' seller of pico Solar there. 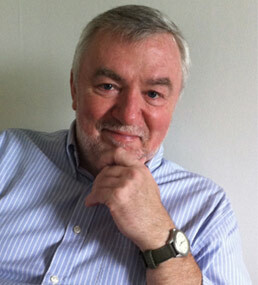 Graham is a skilled people manager, decision-maker and facilitator, particularly in crisis management. He is a leader and strategist, with a proven track record as a CEO, Chair, Interim Director and Consultant in both business and NGO environments. Graham's experience and style command respect and enable those with differences to work together. transformation into a world-class organization.